Jerrald Goldsmith was born on February 10th 1929 in Los Angeles, California, U.S.A.
on the music for CaboBlanco. She also did some vocals on The Omen from 1976. Jerry also got his fifth child with Carol, called Aaron. Jerry has 4 children from his first marriage with singer Sharon Hennigan Goldsmith. The oldest daughter, Ellen, did the vocals on Wild Rovers from 1971.
whose work is claimed to be very much inspired by Jerry's musical talents. Both Ellen and Carrie work as teachers today, and Jerry's youngest daughter, Jennifer, is in the entertainment industry. first credited for Runaway (1984), and the latest father & son project is Star Trek: First Contact. In 1993 Joel wrote the score to the thriller Man's best friend single-handedly. 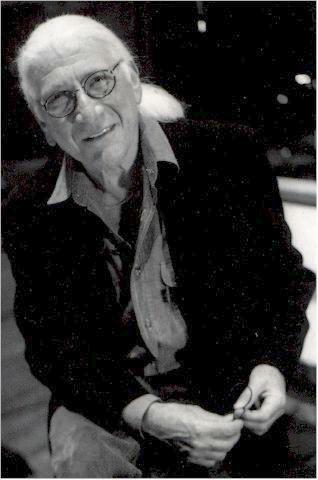 Jerry Goldsmith died on July 21st 2004 in Beverly Hills, California, U.S.A. He started on piano-lessons by Jakob Gimpel and Mario Castelnuevo-Tedesco, as soon as the beginning of the 1940's. Jerry was very aware of the drama in its musical form, so he quickly found out, how to combine the music with the drama. Then he took the small step from there, to focus completely on film music. And his master-tutor wasn't just "Mr. nobody". No, it was the professor and composer Miklos Rozsa. The Twilight Zone (in the late 1950's) and Dr. Kildare. Jerry's first motion picture score, was a reality in 1957 for a long forgotten B-western named Black Patch. Even though he made his debut-score in 1957, he was first recognised in 1962.
and that same year he got his first Academy Award-nomination for Freud. Planet Of The Apes (1968), Patton (1970), Papillon (1973), The Boys From Brazil (1978) and Lionheart (1987). Paul Verhoeven has used Jerry for Total Recall (1990), Basic Instinct (1992) and the latest Hollow Man. which was a pretty misjudged remake of the classic Casablanca from 1942, with score by Max Steiner. 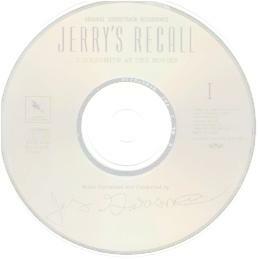 Fred Schepisi has used Jerry, for films like The Russia House, Mr. Baseball, Six Degrees Of Separation and I.Q. 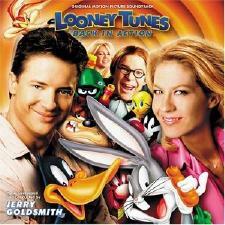 Small Soldiers (1998) and Looney Tunes: Back In Action (2003). Jerry's favourite score is Islands In The Stream from 1977, and his worst project ever made, could be Inchon (1981). box-office disaster, after 3 years of hard work. But apart from that, all Jerry-fans can enjoy his impressive music. His worst project was his score for Gladiator (1991), but that score was never used, and will probably never get released. and the Gremlins-theme, the Basic Instinct-theme and The Mutant-theme from Total Recall. Plus the tragically, but vivid score for Sleeping With The Enemy from 1991. ..... and all the rest. Total Recall (90 - re-issue, approx. 30 mins. more music) and Hollow Man. Along came a spider and The Last Castle. and The Sum of All Fears. Star Trek: Nemesis and Looney Tunes Back In Action. 2004: The Great Train Robbery (79), Jerry Goldsmith at 20th Century Fox (75 year-anniversary album). and Karl Scott (associate producer on Jerry's Night Crossing from 1982). http://www.sheetmusicplus.com/store. Search for Jerry Goldsmith as a composer, not artist. Good luck. http://www.musicnotes.com. 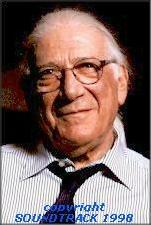 Search for Jerry Goldsmith as an artist/composer. Good luck. Owner of this page (last edited February 18th 2006): Henrik. Web-master of The Danish Film Music Society. John Barry, Rachel Portman and Howard Shore.